Why is Commission Vice-President Maroš Šefčovič taking unpaid leave to run in the Slovak presidential election, while First Vice President Frans Timmermans, who is the Spitzenkandidat for the European elections, is keeping his seat at the Berlaymont? Timmermans is far from being the only Commission member running in the European elections in May. Corina Creţu, the Romanian Commissioner, said she will run for a new political party, Pro Romania, different from the one that took her to the European Parliament and then to the Commission. Estonia’s Andrus Ansip told EURACTIV in an interview he wants to be an MEP again. A few more are expected to run as well. But all of them are keeping their Commission seats. The question is: shouldn’t Commissioners take unpaid leave and dedicate their time to campaigning? As it is, they are pretending to remain neutral as Commissioners, but still hope to mobilise the electorate in their home countries and beyond (in the case of Timmermans). We asked Timmermans this question today. He explained that the Juncker Commission decided that members of the college who decide to run for European elections can stay on as members of the Commission. He said that whatever position he took was a position of the College of Commissioners and that he doesn’t go out and say things of his own accord. This is the modest and insufficient legal basis. 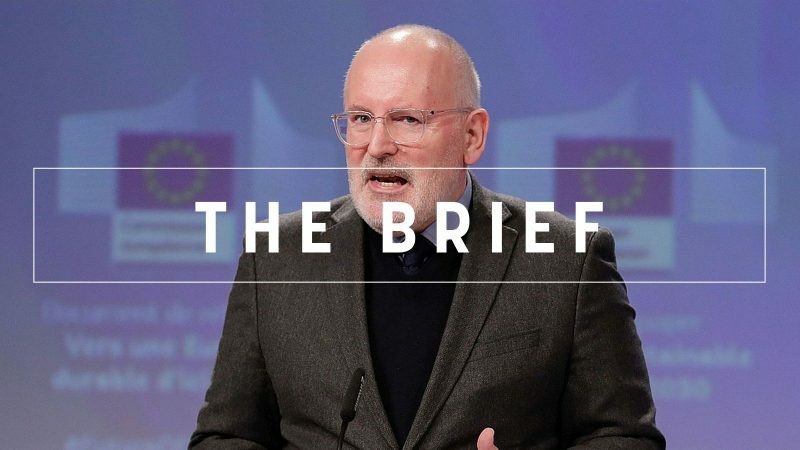 When Timmermans announced his political bid, reportedly the Legal Service and the ethics unit of the Secretariat General gave him ‘oral instructions’. Juncker will issue more detailed internal guidance in due time, EURACTIV was told. Let’s see. But we cannot be convinced of the merits of a system in which commissioners campaign while at work. Incidentally, Juncker is not running for re-election. What if the Commission president were to run as the EPP Spitzenkandidat, the first vice president on behalf of PES and another vice president for ALDE? They might claim to remain neutral in their work, but how credible would the European elections be? Isn’t this providing arguments to the anti-EU camp? Viktor Orbán is already using this kind of ammunition against Timmermans. Last night’s vote in the House of Commons came with a bang: UK’s PM May will attempt to re-open talks with EU leaders on the controversial Irish backstop in the latest twist to the Brexit crisis. Need one more day off? The Europe Day initiative calls for 9 May to become a public holiday. The public image of Poland’s political mastermind Jarosław Kaczyński and his ruling conservative Law and Justice (PiS) party was shattered by revelations published by the Gazeta Wyborcza daily. This EU Parliament should stop deciding on migration and rule of law, a high-ranking Hungarian government official told EURACTIV Croatia. Hungary’s PM Orban is happy where he is in the EPP, said ECR’s Spitzenkandidat Zahradil and ruled out a possible cooperation while his party faces the loss of their UK MEPs this year. Commission security chief Julian King criticised the “patchy, opaque and self-selecting” reporting provided by Facebook and other tech giants following their bids to comply with the EU’s code of practice against disinformation. China and Russia pose the biggest risks to the United States, and are more aligned than they have been in decades as they target the 2020 presidential election and American institutions to expand their global reach, US intelligence officials told senators. The European Investment Bank and the European Commission were forced to defend their flagship ‘Juncker’ investment plan, after auditors questioned its added value. Finland’s PM Juha Sipilä delivering his Future of Europe speech in front of EU lawmakers in Brussels.